The Renaissance was a period of time from the 14th to the 17th century in Europe. This era bridged the time between the Middle Ages and modern times. The word "Renaissance" means "rebirth". The Middle Ages began with the fall of the Roman Empire. Much of the advances in science, art, and government that had been made by the Greeks and Romans were lost during this time. Part of the Middle Ages is actually called the Dark Ages because so much of what was learned earlier was lost. The Renaissance was a time of "coming out of the dark". It was a rebirth of education, science, art, literature, music, and a better life for people in general. A big part of the Renaissance was a cultural movement called humanism. Humanism was a philosophy that all people should strive to be educated and learned in the classical arts, literature, and science. It looked for realism and human emotion in art. It also said that it was okay for people to pursue comfort, riches, and beauty. The Renaissance started in Florence, Italy and spread to other city-states in Italy. Part of the reason it began in Italy was because of the history of Rome and the Roman Empire. Another reason it began in Italy was because Italy had become very wealthy and the wealthy were willing to spend their money supporting artists and geniuses. City-states played a big role in the rule of Italy at the time. They were often ruled by a powerful family. Some important city-states included Florence, Milan, Venice, and Ferrara. The term Renaissance Man refers to a person that is an expert and talented in many areas. The true geniuses of the Renaissance were great examples of this. 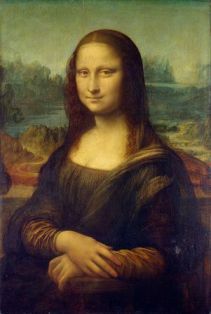 Leonardo da Vinci was a master painter, sculptor, scientist, inventor, architect, engineer, and writer. Michelangelo was also a superb painter, sculptor, and architect. One of the most popular Greek philosophers was Plato. Many men studied Plato's writings at the Academy in Florence. Venice was famous for its glass work, while Milan was famous for its iron smiths. Francis I, King of France, was patron of the arts and helped Renaissance art spread from Italy to France. Artists were initially thought of as craftsmen. They worked in workshops and belonged to a guild. Two of the biggest changes to art from the Middle Ages were the concepts of proportion and perspective. Michelangelo and Leonardo became rivals when Michelangelo mocked da Vinci for not finishing a statue of a horse. Hunting was a popular form of entertainment for the wealthy. Artists and architects would often compete for a job, or commission, to create a piece of art. Everyday Life in the Renaissance By Kathryn Hinds. 2004. Renaissance: Eyewitness Books by Andrew Langley. 1999. Life and Times: Leonardo and the Renaissance by Nathaniel Harris. 1987. Your Travel Guide to Renaissance Europe by Nancy Day. 2001. Essential History of Art by Laura Payne. 2001. Go here to test your knowledge with a Renaissance crossword puzzle or word search.